Designed to warm up any space, this is the perfect floor for use in rustic cabins, mountain lodges, or the great room in your home. Altruwood's 10" flooring is a net 8 1/4" beautiful wide plank Douglas Fir floor. This is a mix grain Douglas fir plank floor. Character includes knots (both sound, loose and star checked). This is a great option for Scandinavian style floor and finish. Looking for wider, longer lengths, specific grade or size please give us a call at 1-877-972-9663. 250SF minimum order For orders less than 250SF please call 1-877-372-9663 Pre-finish options available. 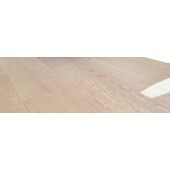 Altruwood's 10 1/8" Douglas fir floor is a beautiful wide plank mixed grain floor. Character includes mix grain, some knots (sound and loose or star checked). Looking for wider planks and longer lengths or have specific grade and size requirements? Please call 1-877-972-9663.